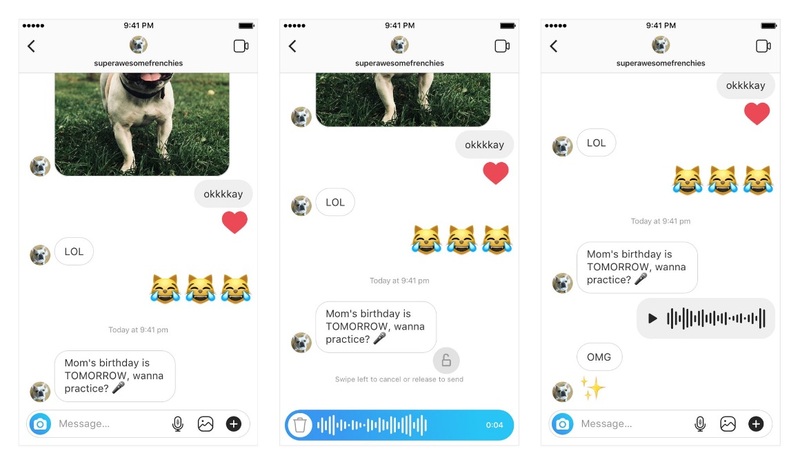 Instagram launched an audio messaging feature to its Direct Messages which is similar to Facebook Messenger. Users have now an access to send a voice message to their friends via Direct Messages. The Direct Message includes a new microphone icon located before the send an image button at the lower right side of the screen. The user will need to hold the icon so that they can start the recording and release the button to automatically stop. The voice message has a limited of one minute long record. The subscribers have an option if they want to send the voice message they have record or delete it by clicking the trash bin button on left side of the send button. Instagram posted on Twitter about the announcement of its new feature. The voice message has started rolling out globally for both iOS and Android devices.